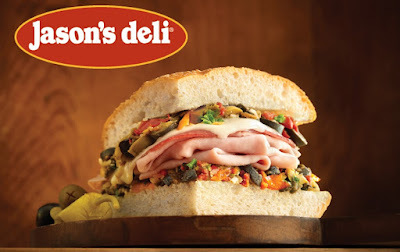 I went to Jason's Deli for the first time this week. Overall I was impressed. The location I went to is in San Antonio. They had crayons and paper for kids, unlimited free ice cream, and great customer service. I was also happy to find out they offered a 10% military discount. This isn't a hard set rule, but most Jason Deli's offer the 10% off so just make sure to ask. You can join their mailing list and get a $5 coupon every year for your birthday if looking for additional savings.